Our resource centre tells it as it is and cuts through the jargon. 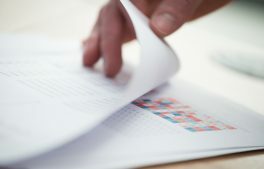 Our aim is to communicate and demystify statistical tools and techniques. A deeper look into what significance testing really means and some of the pitfalls you can come across along the way. In this presentation, we describe a new approach on how to develop a MaxDiff typing tool and use real data to illustrate our approach. Marketers often find it valuable to include a relatively small number of “Golden Questions” in future surveys, to classify respondents into identified segments with different needs. Our tailor made simulators provide a valuable and effective deliverable, demonstrating dynamically how variables compare. Correlated Component Regression: a powerful new technique for pharmaceutical and B2B research. Alex Vishney shares his experience using a new technique for building predictive models from small data sets. 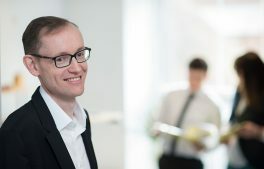 Gary is a world class statistician with both a broad and deep knowledge of the statistical tools available to market researchers, and how they can best be applied to give our clients accurate and actionable insight. I have worked with Gary and his team for many years and value his expert advice, commitment and innovative approach. 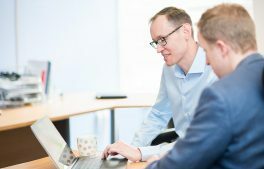 Working with Gary and his team is very easy; they provide statistical analysis in a way that is simple to understand and meets our research objectives completely. The team not only provides the statistics, but also a thorough recommendation and explanation of why this is the best approach to take and how the data should be interpreted. This experience with The Stats People has been second to none. Gary and the team are one of the most innovative providers of stats services there is. 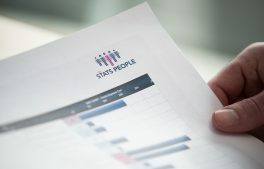 Our clients get great benefit from our partnership with The Stats People too. I am happy to recommend Gary and the team to colleagues as often as I can. Gary and the team are always very responsive – making time to talk through ideas and solutions informally. I have a great deal of confidence that they will always recommend the most appropriate and pragmatic approaches to achieve our objectives and every project we have worked together on over the past few years has been a success in that regard. Gary and his team really understand the research business, are friendly and helpful, give advice on methods when I’m floundering and (importantly for us non-statisticians!) explain methods and outputs in layman’s terms. I know, whenever they’re involved in a project, it will be completed on time and accurately, with easily digestible outputs. Gary himself has the experience and gravitas to be extremely credible in front of clients. For all these reasons, The Stats People is always my first port of call when complex statistical analysis is needed. Gary and his team are integral to our quantitative work. They have a deep understanding of market research in general, and also the specific challenges of healthcare research. They also have the knack of presenting complex ideas in a clear and logical way; we often include them in discussions with our clients at proposal, design and analysis stages. Above all, they are a pleasure to work with.